in most settings, and attempting complete pest exclusion isn’t worth the cost and risk of treating already stressed turf in midsummer.Herbicides are available to selectively control established grassy and broadleaf weeds, but they are generally less effective on larger plants, requiring higher use rates that increase the risk of injuring desirable species. 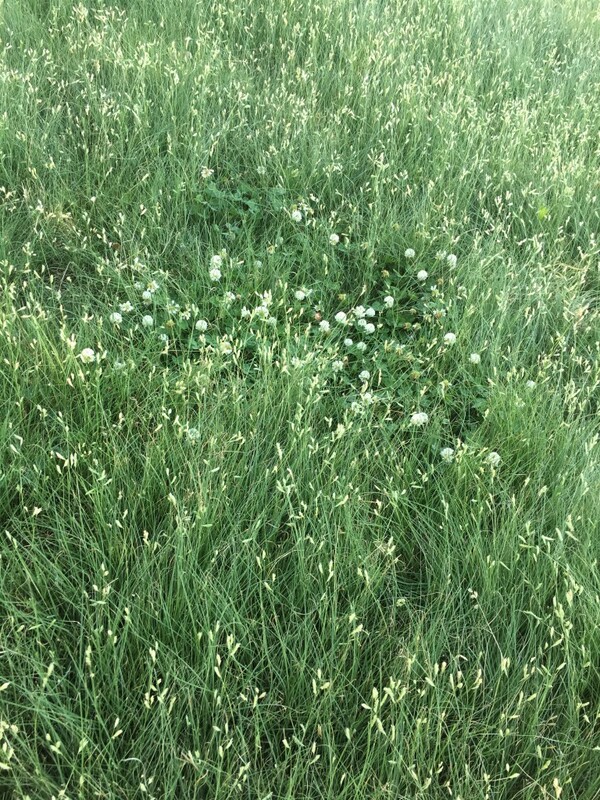 If sparse weeds are a problem in your turf, consider simply removing them by hand. Provided that present roots/tubers are persistently removed, there is not a more effective, safer weed control strategy. Hand weeding may not be pragmatic on a large scale, especially for weeds that are difficult to remove completely. But, for weeds that are easily removed, hand weeding might not take any more effort than spot treating weeds with herbicide. Furthermore, cursory mechanical weed removal during other tasks will ultimately reduce weed cover with little added effort.